Since it still feels like summer, we thought it’d be good to finally sneak some of our sunflower photos up (we were here last month). We loved catching sunrise at the Pope Farm Conservancy. Last year, we missed the sunflowers by days, so we were set on seeing them! 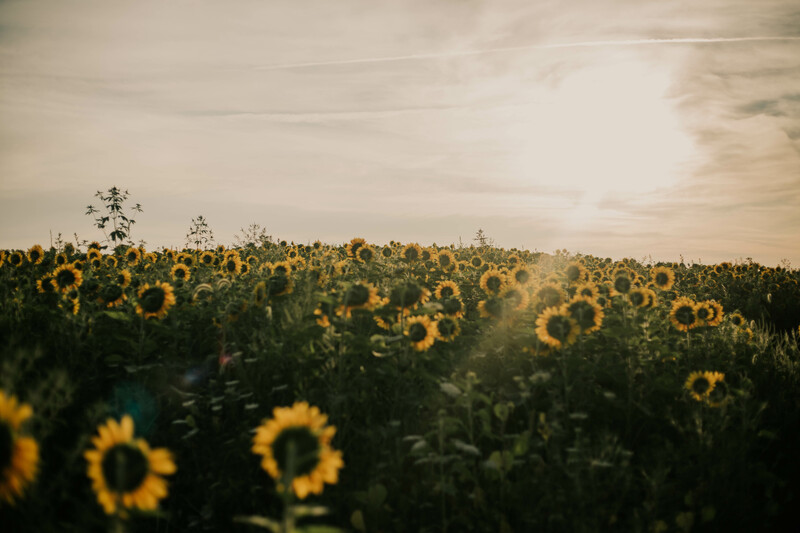 The light was perfect and the thousands of perfectly blooming sunflowers did not disappoint. If you are in the Madison area, this place is great! Even without sunflower days happening, the grounds are still so beautiful. Perfect place for photos or an afternoon hike. Omg I didn’t think they would still be alive?! When did you go? Ha, these are from last month, we were just so back logged with content and a busy start of school. I WISH they would still be around!